As the tour group was large, we didn't get a chance to listen to what the tour guide said. It would have been good to have a loudspeaker or personalised speakers for each participant. Explore two colorful areas in the metropolis of Tokyo. 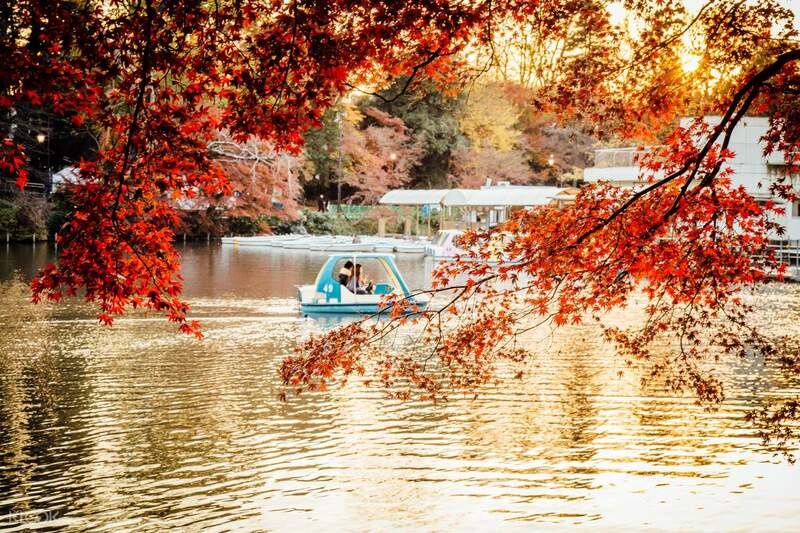 Accompanied by a guide, your group will head to Inokashira Park. This scenic destination is a lovely, sakura-lined park with peaceful views of the river. 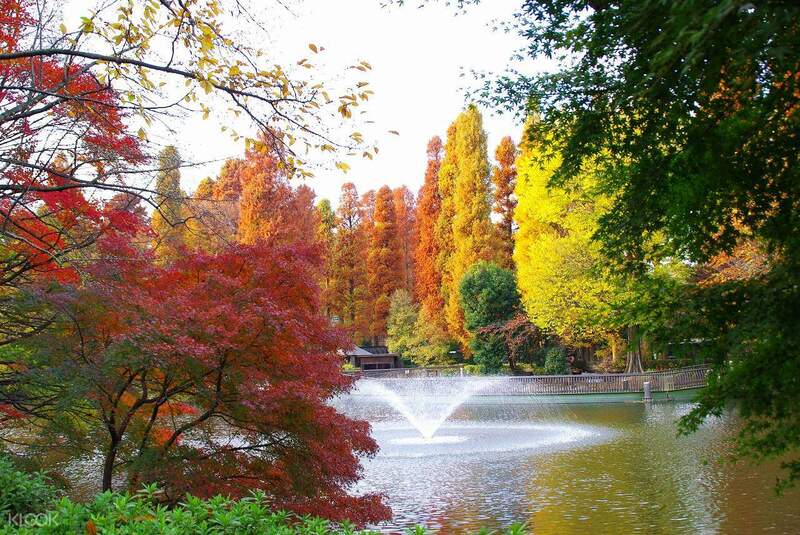 It’s a perfect place to stroll around and enjoy a romantic or peaceful moment to take a break. Following this, you’ll revisit some of the most memorable animations of all time in the famous Ghibli Museum, a must-see destination for fans of the animated movies produced by Studio Ghibli. 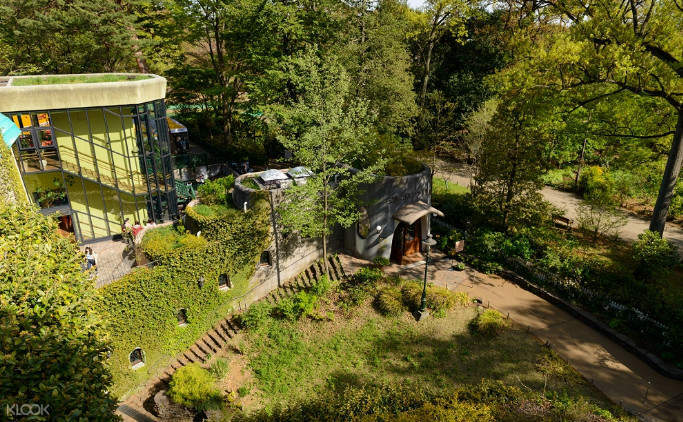 Young or old, many fans and admirers flock to Ghibli Museum to see one of a kind sketches and concept art that have turned into award winning animated feature films. For people who have watched these films, it’s a heartwarming trip into memory lane. The tour guide was very helpful. we left on time from the meeting point and made our way through Inokashira Park. it was snowing at the time but we pushed through with the walking tour anyway. The park was charming, even without the cherry blossoms. we imagined it will be much better when sakura season is in. The Ghibli Museum was something else. it transports you to a whole new place and time. photos are forbidden inside the museum, which I thought was a good thing. really glad we took this trip. The tour guide was very helpful. we left on time from the meeting point and made our way through Inokashira Park. it was snowing at the time but we pushed through with the walking tour anyway. The park was charming, even without the cherry blossoms. we imagined it will be much better when sakura season is in. The Ghibli Museum was something else. it transports you to a whole new place and time. photos are forbidden inside the museum, which I thought was a good thing. really glad we took this trip. This experience was AMAZING. We were incredibly lucky with the weather, which was beaming sunlight and a temperature around 18*c. At Kochijoji station (the meet up point) it was easy to spot the tour guides. After meeting up with the guides they led us through a street with small different shops, and we continued to a small temple (where you could wish for good luck /good fortune). After visiting the temple we continued on to a local park which was filled with kids playing around, fotball teams training, people biking and people taking their dogs out for a walk. This was also a very good part of the trip. However, the best part was the ghibli museum. (I don't have pictures from the inside since it's not allowed but some of the outside) it was filled with ghibli nostalgia and small trinkets, I highly recommend going if you 1.Like ghibli movies. 2.have kids (since the museum is very well suited for children due to different play areas and small doors for only them to walk through) 3.like animation and the steps to make an animated cartoon /movie It was simple incredible and I'm so happy I went. For food : the lines are very long, but you can bring your own food to the museum so I highly recommend packing a lunch box! This experience was AMAZING. We were incredibly lucky with the weather, which was beaming sunlight and a temperature around 18*c. At Kochijoji station (the meet up point) it was easy to spot the tour guides. After meeting up with the guides they led us through a street with small different shops, and we continued to a small temple (where you could wish for good luck /good fortune). After visiting the temple we continued on to a local park which was filled with kids playing around, fotball teams training, people biking and people taking their dogs out for a walk. This was also a very good part of the trip. However, the best part was the ghibli museum. 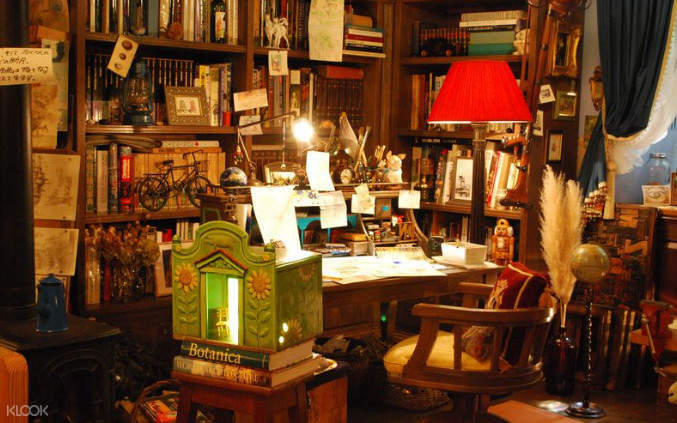 (I don't have pictures from the inside since it's not allowed but some of the outside) it was filled with ghibli nostalgia and small trinkets, I highly recommend going if you 1.Like ghibli movies. 2.have kids (since the museum is very well suited for children due to different play areas and small doors for only them to walk through) 3.like animation and the steps to make an animated cartoon /movie It was simple incredible and I'm so happy I went. For food : the lines are very long, but you can bring your own food to the museum so I highly recommend packing a lunch box! Great experience. The guides were very friendly and did a great job of getting everyone to the museum. We bought this tour because of how difficult it was to get tickets from the official website. Great experience. The guides were very friendly and did a great job of getting everyone to the museum. We bought this tour because of how difficult it was to get tickets from the official website. I failed to aquire a pair of ghibli museum tickets for my trip and this tour is the answer. A nice walk around the park with a small history lessons here and there from the tour guide. After the tour guides dropped us in studio ghibli, we were free to go to explore and leave whenever convenient. Really love it. I failed to aquire a pair of ghibli museum tickets for my trip and this tour is the answer. A nice walk around the park with a small history lessons here and there from the tour guide. After the tour guides dropped us in studio ghibli, we were free to go to explore and leave whenever convenient. Really love it. The museum was average. We enjoyed the film showing, and also the exhibit on "The beginning of movement". However, we were disappointed that we could not take any photos inside the museum. Those exhibits are commercial items, like totoro stained glass etc, and not valuable paintings that are sensitive to flash photography. There was a long walk before getting to the museum but it was ok and the guides were helpful. Getting to the roof deck was also a challenge since it was only accessible through a spiral staircase. Items in the museum shop were overpriced. The museum was average. We enjoyed the film showing, and also the exhibit on "The beginning of movement". However, we were disappointed that we could not take any photos inside the museum. Those exhibits are commercial items, like totoro stained glass etc, and not valuable paintings that are sensitive to flash photography. There was a long walk before getting to the museum but it was ok and the guides were helpful. Getting to the roof deck was also a challenge since it was only accessible through a spiral staircase. Items in the museum shop were overpriced. Perfect! The family spent an engrossing time in the museum... almost didn't want to leave. The detail put into every fixture was fascinating. Perfect! The family spent an engrossing time in the museum... almost didn't want to leave. The detail put into every fixture was fascinating. Was one of the best experience ever had in Tokyo. Very nice guides with detailed explanations. The museum was awesome and was definitely worth a visit. Was one of the best experience ever had in Tokyo. Very nice guides with detailed explanations. The museum was awesome and was definitely worth a visit.